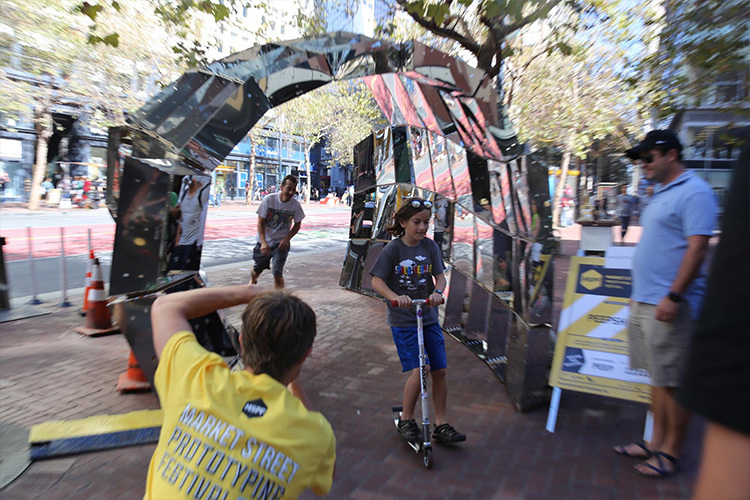 We’ve been checking out the 2016 Market Street Prototyping Festival, a design-driven event that brings prototype public-art installations to San Francisco’s Market Street. 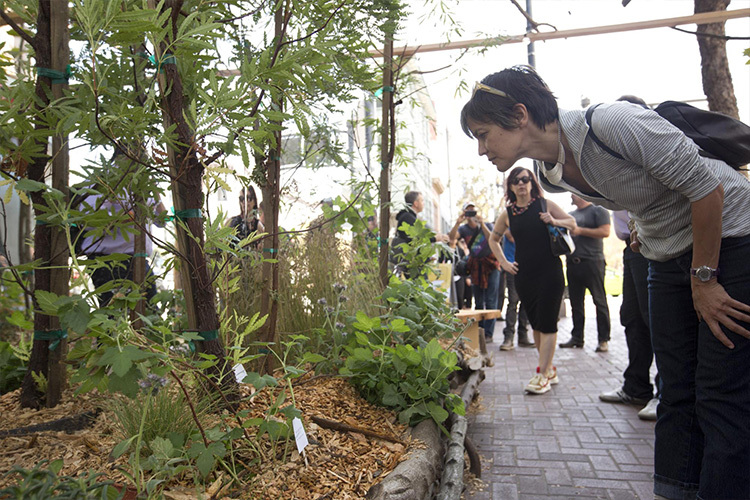 Like a city-street Maker Fair or Burning Man, the event offers pedestrians a variety of opportunities to reflect on their environment, step outside of it for a few moments, create something new and otherwise engage with interactive prototypes. The Festival is a collaboration between the San Francisco Planning Department and the Yerba Buena Center for the Arts, showcasing the work of Bay Area architects, artists and makers. From a sidewalk library to a mini dance studio, installations that gamified the sidewalk and a booth that allowed pedestrians to literally vote with their feet, the Festival was packed with the kind of inspiration our creative team constantly seeks out. Notably, several installations sought to provide immersive environments. As we explore the lines between virtual reality and creatively-repurposed urban environments, step into the Festival for yourself, with this 360 degree video that features the reflective PeepShow, Pop-Up Forest from Friends of the Urban Forest, and Prism Portal, a rainbow passageway that was built in tribute to San Francisco’s LGBT community. Interested in applying creative design thinking to your brand? Give Kiosk a call.